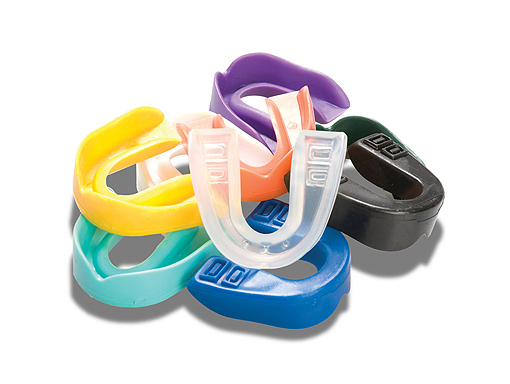 Sports Guards are recommended to prevent dental injury and reduce the chances of concussion when participating in contact sports. A properly fitted Sports Guard is the best available protective device for reducing the incidence and severity of sports-related dental injuries. Custom fitted Sports Guards not only offer the best protection, but are also designed so that they should not affect your breathing or performance. An impression of your teeth is taken and your Sports Guard is made on the models in a laboratory. Our Sports Guards can be made with your team colours in mind. Sports Guards are mandatory for players in all age grades, in all Gaelic football practice sessions and games. This rule has been mandatory for players in grades up to Minor since 2013 and applies to all age grades since January 1st 2014.